Have you ever wondered what to do with a gel printing plate? Well wonder no more. This month DCC members received product from Gel Press and we were inspired! 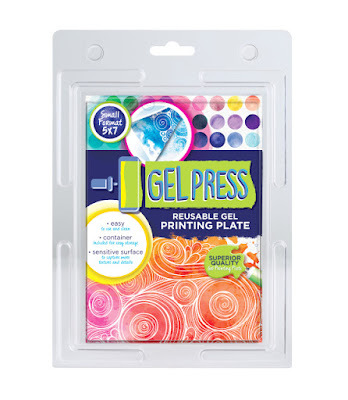 For even more ideas and links, check out the Gel Press Facebook page! Enjoy! The stores have been overflowing with Fall and Halloween decorations for almost a month now, so DCC members are sharing their favorite projects to inspire you to "get crafting"! Enjoy!